The last few tickets are available only at the Spa Convenience Store in Titus Street, Saltaire! N.B. ALL SEAT RESERVES FOR CHORUS MEMBERS WERE FILLED ON 1ST JANUARY! 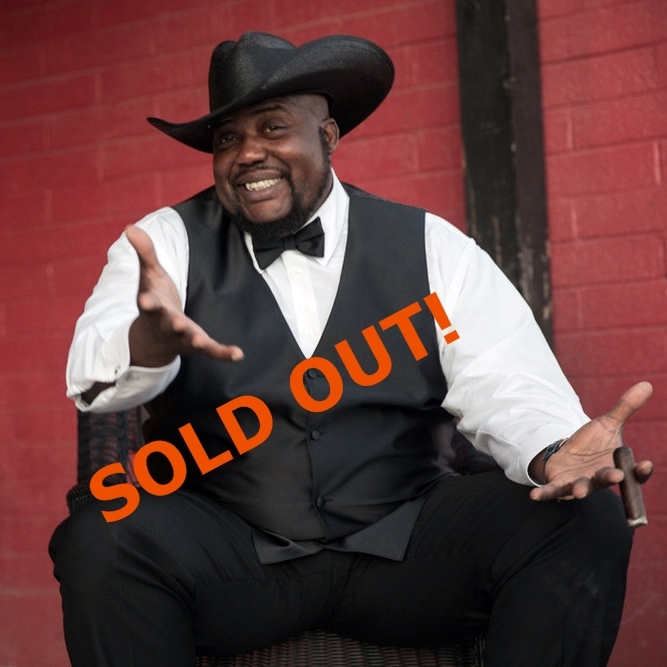 SEATING IS GOING TO BE VERY LIMITED AS SUGARAY CALLS HIS SHOWS PARTIES – HE WANTS THE DANCE FLOOR FULL! One of the undoubted highlights of our trip to Nashville was this man and his magnificent band. Sugaray came onstage at the 12th and Porter and just blew everyone away with an outrageous, blistering performance that left everyone breathless and with beaming smiles on their faces. A shrinking violet he is most certainly not! This will be one for your scrapbook! When Sugaray Rayford belts out a song, you not only hear it, you feel it. The excitement in the room is palpable when he takes the stage; he is a superb vocalist and entertainer. His dynamic voice is large just like the man. With his old school vocal style, echoes of Muddy Waters, Otis Redding and Teddy Pendergrass can be heard. At 6’5” he is a big man, but he moves with grace and energy. His fluid dance steps will remind you of the Legendary James Brown. Sugaray has fronted his own band since 2010, called the Sugaray Rayford Band. This band is currently made up of world-class musicians who tour extensively internationally: Gino Matteo on guitar, Drake ‘Munkihaid’ Shining on keyboards, Alan Markel on bass, Lavell Jones on drums, and Allan Walker on sax.